The former head of Newquay Junior School, has been appointed to run The Wave Project’s new Beach School education programme. Andrew Reep is an active member St Agnes Surf Lifesaving Club as well as experienced teacher. He will oversee the scheme to help 240 Cornish pupils reach their potential. 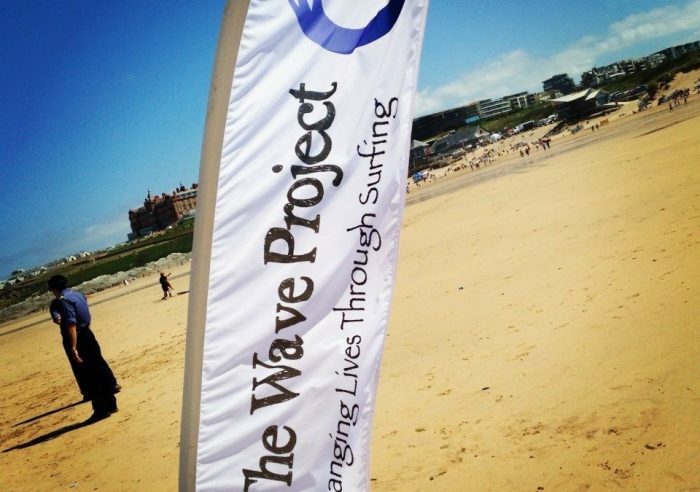 The Wave Project received £100,000 grant from Comic Relief to run the Beach School project for 240 Cornish children who are at risk of not engaging in school. The award-winning Cornish charity has successfully been running the programme across the county throughout the past year, and has worked with six primary and secondary schools in the 2016-17 term. Pupils in years 9 and 5 spent one day a week doing their lessons on the beach, improving their knowledge of subjects such as geography, science and maths – with a bit of surfing thrown in. The participating schools were Penair School in Truro, Pool Academy, Brannel School in St Stephen, Bodmin College, Berrycoombe Primary School in Bodmin, Treviglas College in Newquay. Lessons are delivered on the beach, in school time, and help to re-ignite pupils’ interest in core subjects such as English, geography and science. The new project will target 240 children who are not engaging in lessons or refusing to go to school over the next two years. Cornwall-based educational psychologist Dr Wendy Thomas, who is a trustee of the Wave Project, said this was a big opportunity for young people to improve their resilience and emotional wellbeing.